Martina on an ‘Arts in Health’ tour in Jersey. Martina has a lot of expertise in entertaining and animating audiences of all ages. 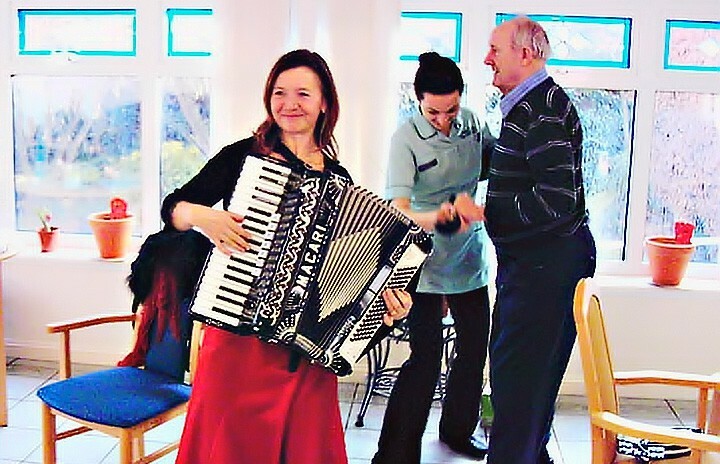 Drawing on her experiences from working with companies and organisations, all sharing the aim of bringing the arts into unusual settings, especially health settings, Martina has developed a large repertoire, especially for elderly people, playing in hospital wards, nursing homes, sheltered housing and day centres, enabling her to reach out to the older people with her performance. 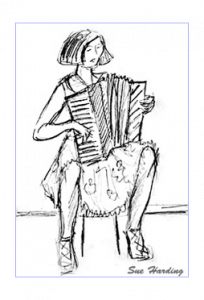 According to their musical taste she will play her accordion or ukulele, sing and animate her audience to join in with singing, clapping, gentle movement and dancing, according to their ability. Each performance in these unique situations is a “happening”, often unlocking memories and emotions apart from being a welcome change of the daily routine. For Martina it’s a very rewarding experience. Her repertoire is very varied, including a lot of music from around the world and from different eras, addressing patient’s individual cultural background. 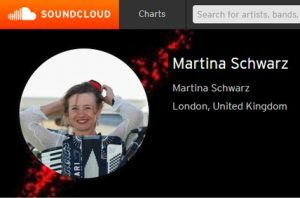 Martina’s most recent “Music in Health” tour took place in January 2015 when she was playing and singing for elderly patients and residents of the lovely island Guernsey (17th-29th January 2015). 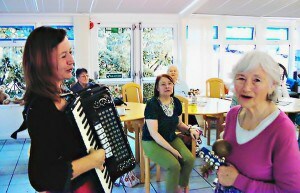 ‘Let’s dance’, at a residential home in Jersey.